Need to add an extra ball to your roller but don't want to pay the expensive costs for totes? Get a Plus One from Hammer and carry a backup or spare ball with you to the lanes on top of your roller. The back of the bag has a straps and a clip that attach to the handle of the roller bowling bag. 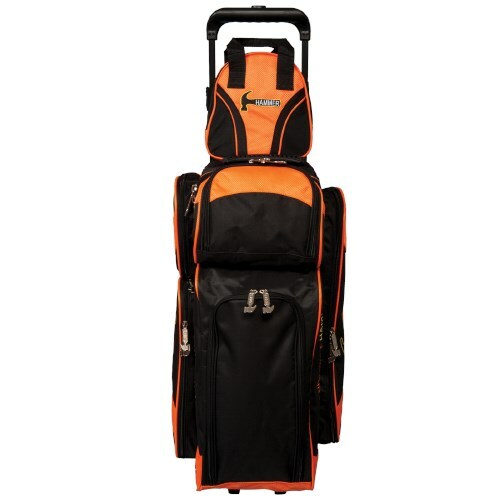 So whether you want to add this to a roller or if you feel like just taking one ball to the alley this is your bag! Good product. Works as advertised. Looks sharp with the Hammer 3 ball roller. in the plus one is there room to store your shoes? and can i just purchase the plus one? Hello. The Hammer Plus One will have enough room to store one bowling ball. Can this attach to the Hammer 4 ball bag premium roller handle or is this only for the 3 ball bag? It should be able to fit the 4 ball roller handle. 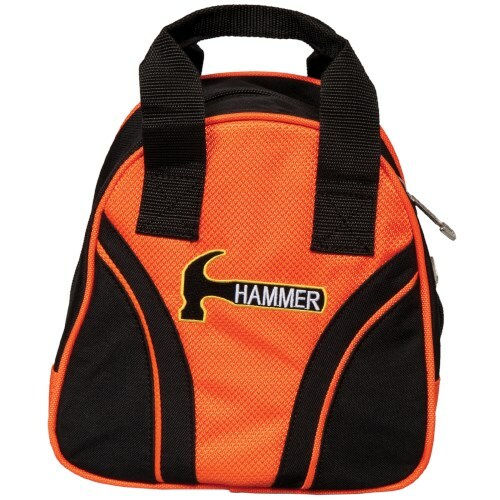 Due to the time it takes to produce the Hammer Plus One Orange/Black Single Tote ball it will ship in immediately. We cannot ship this ball outside the United States.